Vacant Property Security, Warrington, Manchester, Liverpool. Vacant Property Security Guards and Motorcycle Patrols are fully insured and vetted, are hand picked and have a vast amount of security experience at all levels. Mobile Patrols provide a cost effective alternative to static security guarding and carry out Vacant Property Inspections. Motorcycle Patrols are faster and more effective than a van and are carried out by advanced motorcycle riders. Security officers are often the first person a visitor might encounter when they arrive at your premises. Our officers have the training, professionalism and demeanour to fit seamlessly into our client’s culture. Our strategy focuses on understanding that each and every organisation faces a unique set of security threats and challenges. Everything from our recruitment policies and training programs are geared towards delivering highly skilled officers fit to represent our clients. We provide comprehensive protection for the Public, Premises, People and Assets through an efficient and cost-effective combination of manned security guards, mobile response patrols, keyholding and rapid alarm response. Bespoke security solutions are tailored to satisfy our client's individual and specific security requirements. Vacant property is at risk of burglary and break-in. 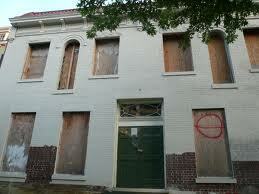 Burglars will notice that the property is empty, and they will see it as a convenient and easy target. The property is also at risk of criminal vandalism, unauthorised entry, and squatting. As well as ensuring that the perimeter and the entry points of the building are secure, you can utilise other empty property security services to protect your assets. Metal theft, squatting, fly tipping, and even building dilapidation are some of the concerns that can be met by using vacant property specialists. A manned guard service provides you with permanent or semi-permanent guards for your property or location. Guards can check identification and ensure that any visitors have the appropriate permission to visit the site. The challenge approach to security will prevent a lot of attempts at unauthorised entry. Spartan Security key holding services are another beneficial form of vacant property security. If anybody needs to gain entry to the property, our guards can check identification, verify that they need to get into the property, and they can open doors and turn off alarms. They will also reset the alarm, lock up, and check the perimeter after the visit. Alternatively, they can hand off the security to contractors or other authorised personnel. Mobile patrols are a more cost effective means of vacant property security. Patrols are typically arranged for times that are considered greater risk, so you would normally have more patrols in the evening and night, but greater security is provided if you arrange for random patrols. Burglars and thieves are unable to predict exactly when the property will be empty, while the guards that visit can look for signs of illegal entry and report them to the emergency services.